Looking to transform your old and worn furniture? 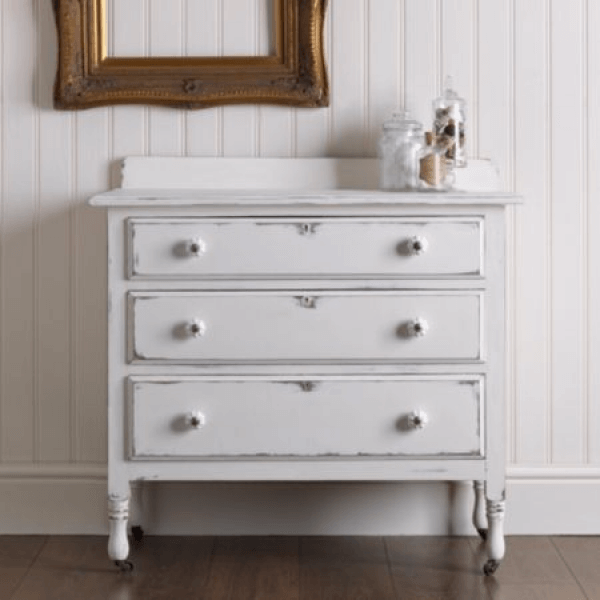 You need to try Rust-oleum Chalky finish furniture paint! Available in an array of colours, this easy to use paint is versatile and a very cost effective way of updating the furniture you have rather than buying new! Whether you want to use this as a block colour, or do two contrasting shades and sand your top coat for a distressed look you will be amazed at how you can transform those old bits around your home. The beautiful matt chalk finish created by the texture of the paint is perfect for the latest shabby chic trends and with clear or dark waxes available you can continue to tweak your design to the desired effect!